A man grows older. Sometimes parts of his body do not work as well as when he was young. Does that mean his inner feelings lessen? His wishes? His longings? 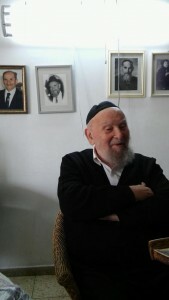 Rabbi Yitzchak Elchanan Gibraltar, a native of Kovno was just 12 years old when World War II broke out. He endured all the horrors of the Holocaust, suffering illness and hunger and doing forced labor under severe conditions. Together with his brother, he carried their father until the end of the horrible marches. After the war, he moved to Israel where he established his home and raised his children. Here in Israel, he wrote and published three books about the Jews of Kovno, from its golden era until its destruction in the Holocaust. 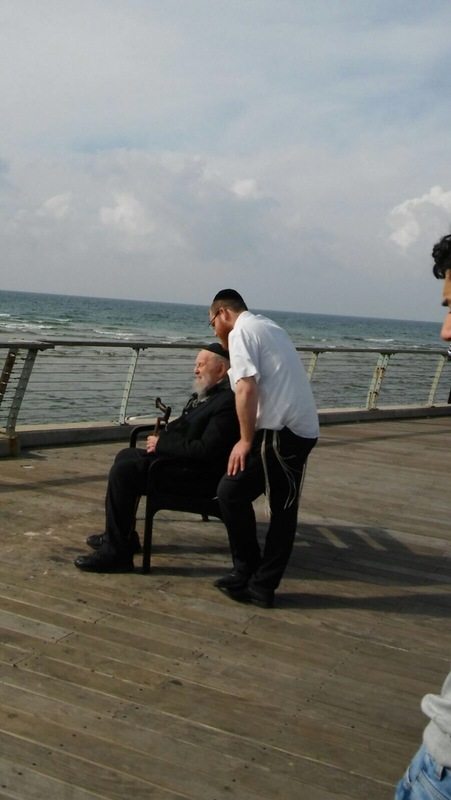 In his weekly meetings with an Ezer Mizion volunteer, Rabbi Gibraltar mentioned that in his childhood, he had been an expert swimmer. After the war’s end, too, he did a lot of swimming, in preparation for his planned Aliyah, since he had heard that the British do not allow the immigrants’ ships lay anchor close to shore. Those days, with his swimming skills, he saved many people from drowning. Today, due to a substantial decline in his physical functioning, he is at home most hours of the day. When he was young, he hopped in and out of a car many times a day. Now his body fails him and getting into a car is as difficult as flying to the moon. When he was young, he had spent his vacations at scenic places, taking in the glorious beauty of Hashem’s world. He traveled where he wished. There was nothing holding him back. Now traveling from one room to another is a battle. In his mind’s eye, he can see the awesome beauty of the ocean. He yearns to be there once more…to make the brocha Oseh Maaseh Breishis (blessing) as his whole being becomes one with the roar of the waves. 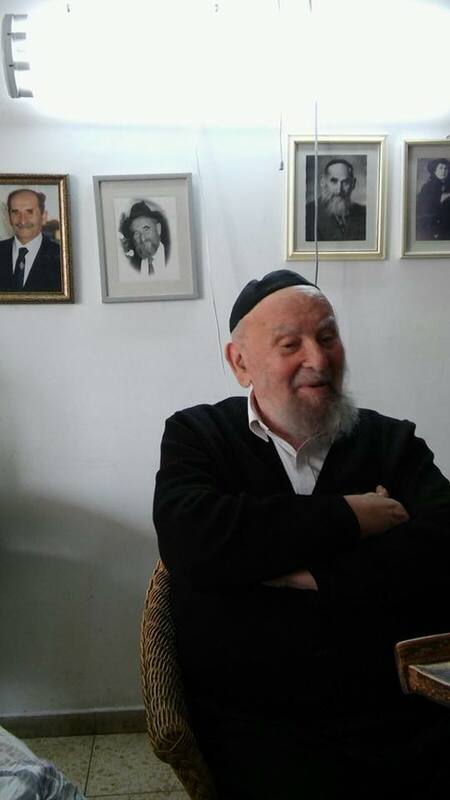 He is a 90 year old Talmid Chochom (man learned in the Torah), a holocaust survivor. He is so grateful for the life he was given. He has no complaints. But oh, to see the ocean once more… to feel the power of the waves as they come crashing down… to gaze at the horizon as sea meets sky far, far into the distance. And then to make the brocha (blessing) in full awe and what HaKodosh Boruch Hu (G-d) had wrought. He yearned but he understood that it cannot be. Until the Ezer Mizion volunteer heard his whispered dreams. Then things began moving fast. Contacts were made. Logistical hurdles were surmounted. More problems. These also were vanquished. Then a date was set. A slot was cleared with an Ezer Mizion ambulance for his trip. An experienced, Ezer Mizion trained volunteer was thrilled to facilitate the outing. And a dream became reality. Another holocaust survivor. Another dream. This one is 99 years old. His neshoma aches to, once again, experience a davening at Meron. Impossible, say the naysayers. Lets try, says Ezer Mizion. It’s not easy. For each impediment conquered, two more crop up. It would be easy to simply say, it’s too hard. But Ezer Mizion is not about to take the easy way out when there exists even a remote possibility of bringing such spiritual joy to this centenarian. Phones buzzed and emails flew across cyberspace. It was not long before this dream, too, became reality. Ezer Mizion’s Ambulance Division with its fleet of vehicles outfitted to handle the mobility impaired, the respiratory patient and so many more challenges, handles hundreds of calls for patients to be transported to and from clinics for chemo, dialysis and other treatments and emergency calls. A small number of slots are reserved for its “Fulfilling A Dream” program which has brought happiness to so many homebound. It enables elderly people to choose an event they wish to experience, something they can look forward to. Ezer Mizion receives requests from social workers or family members of lonely, disabled, elderly people throughout Israel. After reviewing the requests, Ezer Mizion coordinates the logistics of making these dreams come true.